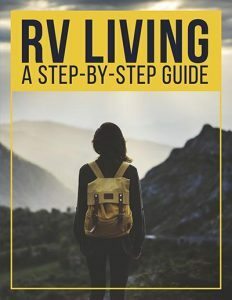 Think about life in an RV. It’s a small enclosed space where you cook, shower, eat, and sleep. 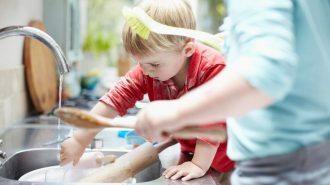 All these activities, especially the cooking and showering, causes an increase in water vapor. This vapor condenses back into water after it cools. Condensation can be prevented by opening a window, but what if it’s freezing outside and cracking a window isn’t possible? A dehumidifier becomes essential. 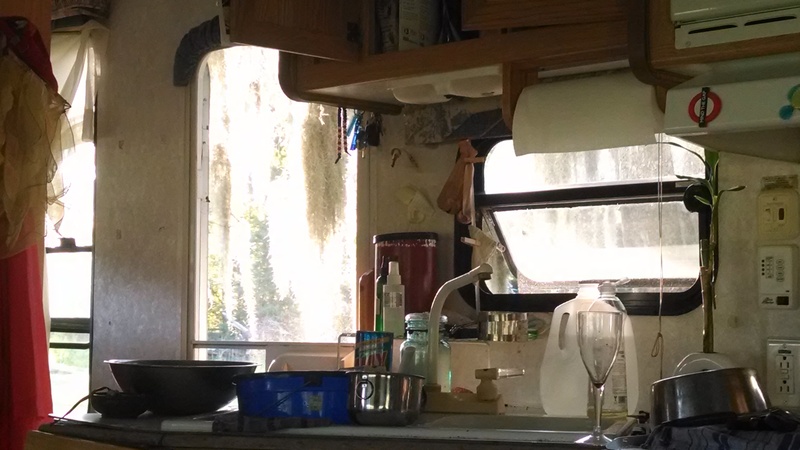 They not only prevent mold, but also work to keep your RV comfortable, by reducing the humidity in the air. 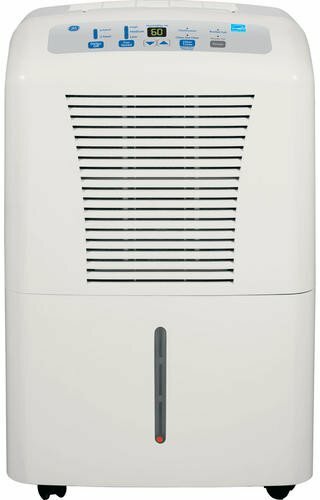 So a dehumidifier is essential, but what kind should I buy? 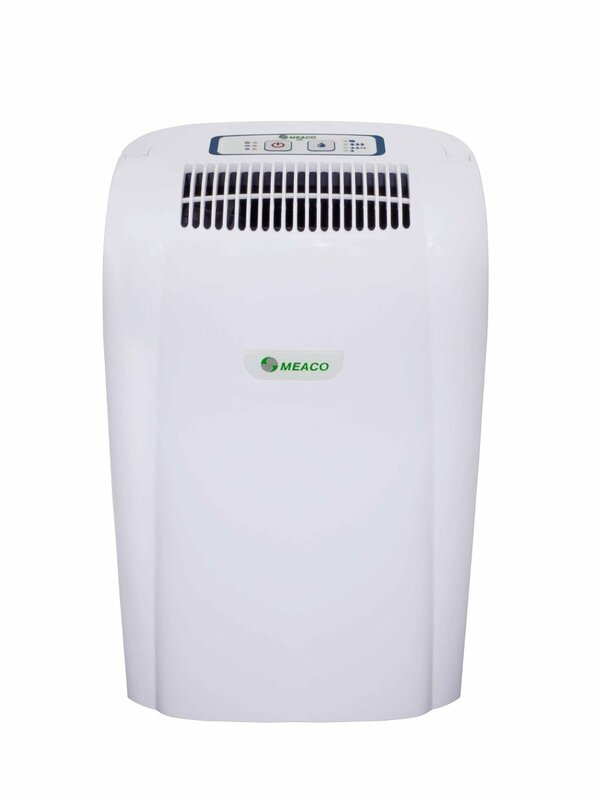 There are two types of dehumidifiers available, the rechargeable dehumidifier which uses a desiccant, and the refrigerant model. 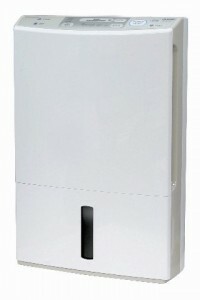 The rechargeable model is best used in closed spaces, such as closets. 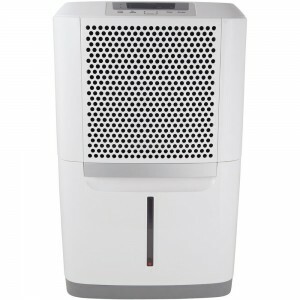 If you have a localized mold problem, this is the best dehumidifier to use, but you would need more than one of them, if you need a solution for your entire vehicle. 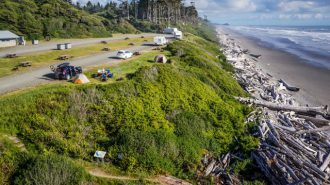 Refrigerant models are a better bet if you need to keep your whole camper mold-free. 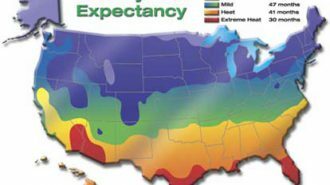 Any refrigerant unit will do the job, as long as it has sufficient capacity. Desiccant models are slightly more expensive than compressors, but you should keep an eye on the power consumption. 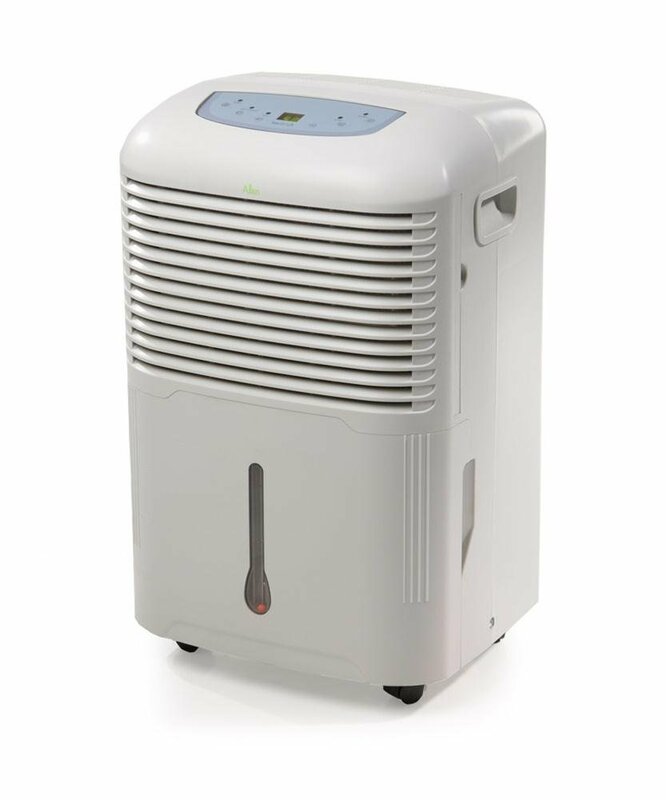 This is a feature that is usually quoted by manufactures; however, comparing the different extraction rates on different dehumidifiers is hard, as different manufactures use different rates depending on the temperature and relative humidity. 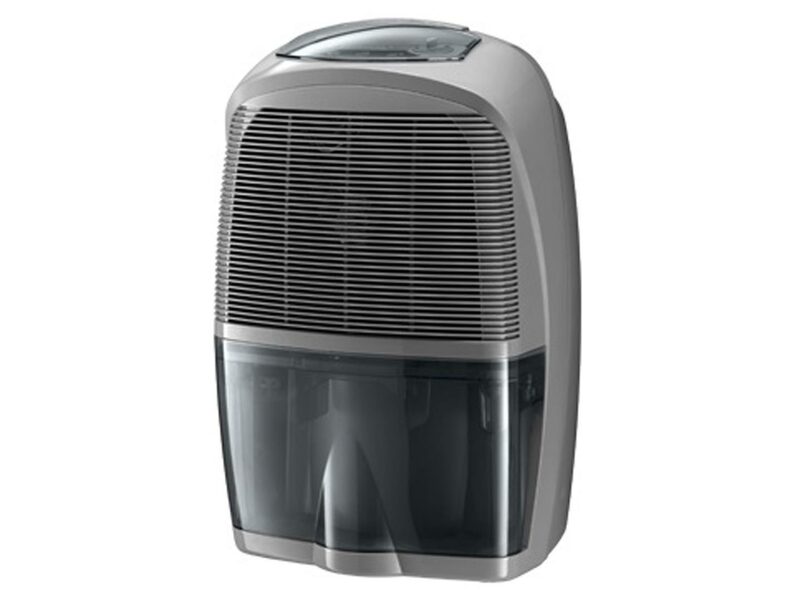 Also,the two types of dehumidifiers operate best at different temperatures, which makes it hard to compare different brands. 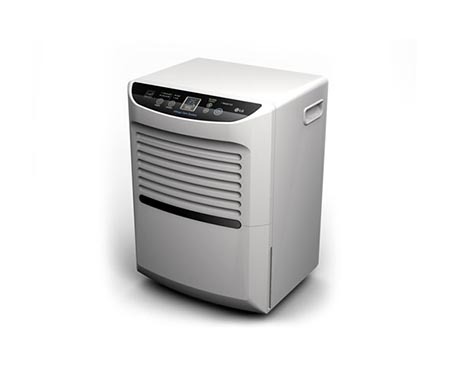 Generally, compressor dehumidifiers have a higher extraction rate. 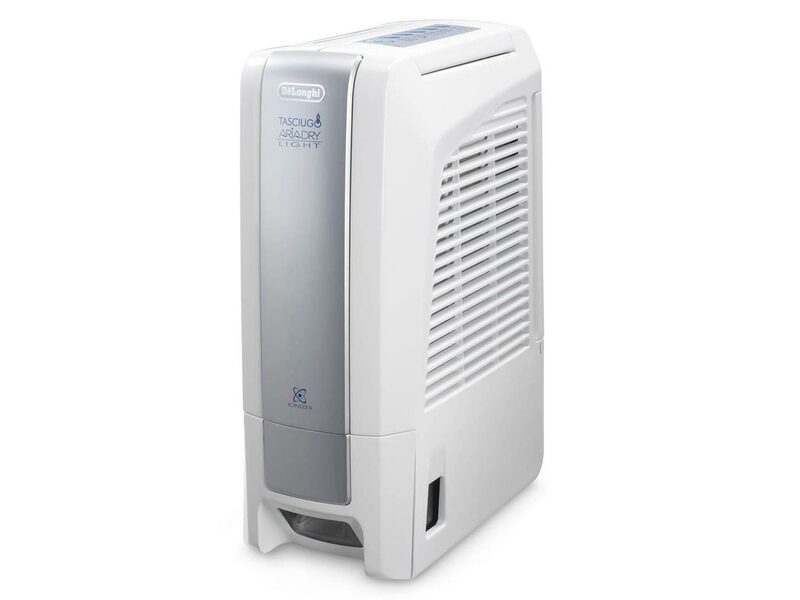 Power consumption – what does it cost to run a dehumidifier? Desiccant models use more power than compressor units. The running costs of a compressor can be compared to that of a refrigerator, while a desiccant dehumidifier uses about the same energy as a washing machine. 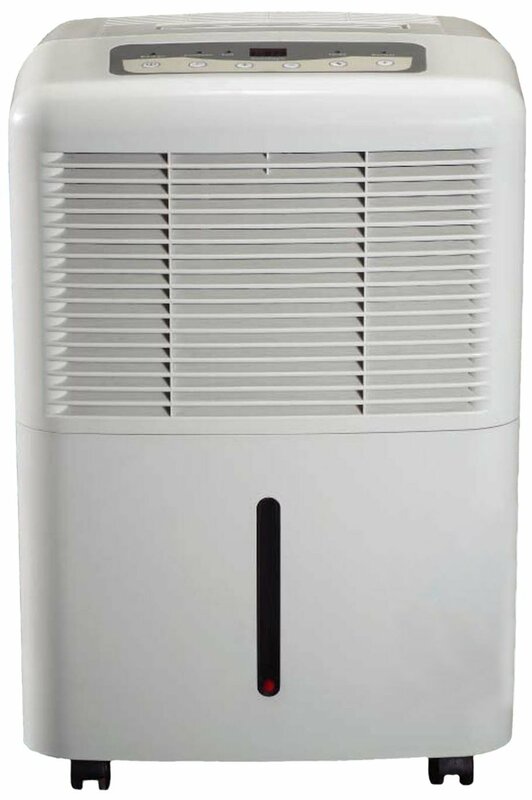 Desiccant dehumidifiers are generally quieter than refrigerant units, but the noise levels are unobtrusive. 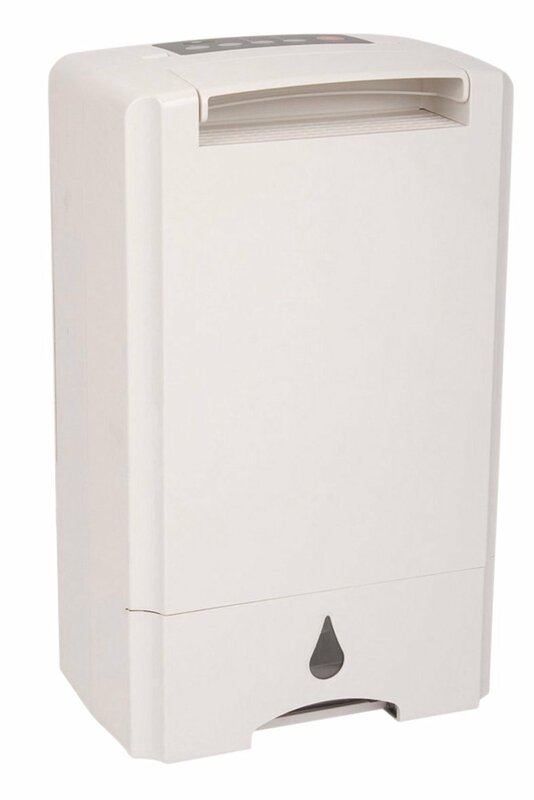 Humidistat – this constantly measures the humidity levels, and will automatically switch off when the levels are optimum. 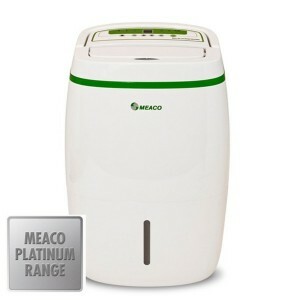 Laundry setting – a dehumidifier with a laundry setting helps to dry clothes faster, by operating the unit continuously. Timer – this is a great feature to have if you are away from the house for long periods of time. It enables you to set the unit to function for a predetermined number of hours a day. Adjustable louvers – This isn’t a main consideration, but a useful feature nonetheless. 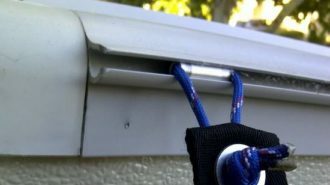 It allows you to redirect the airflow of the vents. 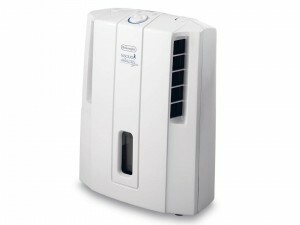 How do you plan to use your dehumidifier, and how often? 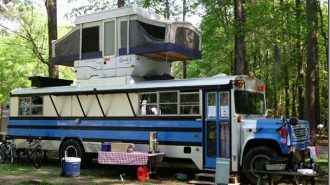 Will it have a permanent home, or do you intend to place it in the basement, and then move it to the RV and back? Some units weigh as much as 26 lbs, so always keep weight in mind. Wheels and a carry handle will come in handy, if you plan to move the unit around. 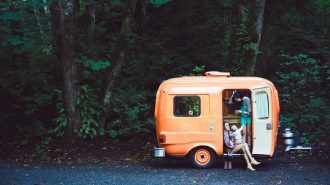 Dehumidifiers specifically designed for RVs have a non-slip base, and are wider than they are high, so as to have a low center of gravity. Portable designs are less expensive. 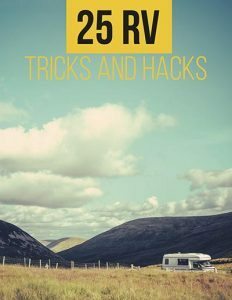 Most people do not live in their RVs throughout the year, so you should take whatever precautions you can to ensure that rain doesn’t enter your vehicle, while still allowing for ventilation. 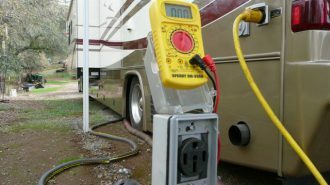 Park your RV within reach of a main line, if you have a refrigerant dehumidifier and need to use it while in storage, or you can also use strategically-placed desiccant models. Each model in the Alen range is energy efficient. Alen dehumidifiers consistently get a good rating from their users. They carry an inventory of 70, 50 and 30-pint capacity suitable for home use. You can expect to pay around $250 for the 70-pint model, though they do not have any additional features or characteristics other than quality and reliability. 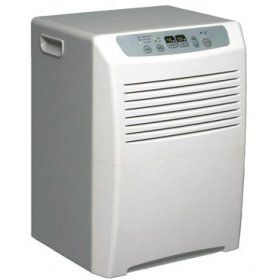 This dehumidifier can comfortably extract 70 pints of water a day, and is most popularly used in basements. It has a continuous drainage feature, complimented by an auto-restart function. This model is a smaller version of the 70-pint and is also popular in basements. Humidistat is critical, especially for allergy sufferers. This unit works well as an RV dehumidifier. If your unit has to be moved frequently, or you have limited floor space, the MDF-30 is the perfect model for you. It is more suited to a small room, and will automatically switch off, if the bucket gets full, to prevent overflowing. 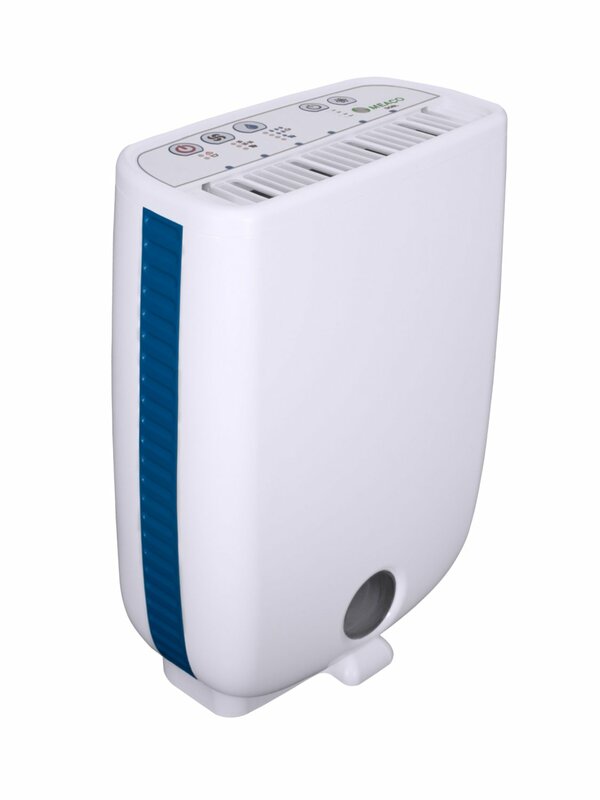 It has continuous drainage, and even though it’s the smallest in the range, it is the ideal RV dehumidifier. 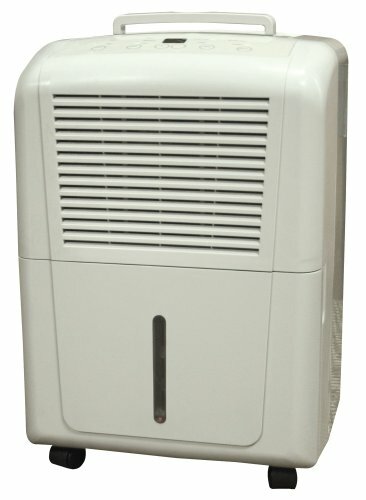 This range of dehumidifiers has 3 models. Most reviews of this brand relate to the relatively short life span. On a positive note, they are quiet, and so for those who treasure this as a feature, this is the brand you should go for. This model is a very quiet for its 65-pint capacity. It is popular in basements and works well in areas up to 1100-sq. feet. 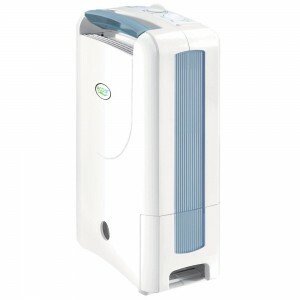 This dehumidifier works in areas as large as 900-sq. feet. It has a capacity of 50-pints. 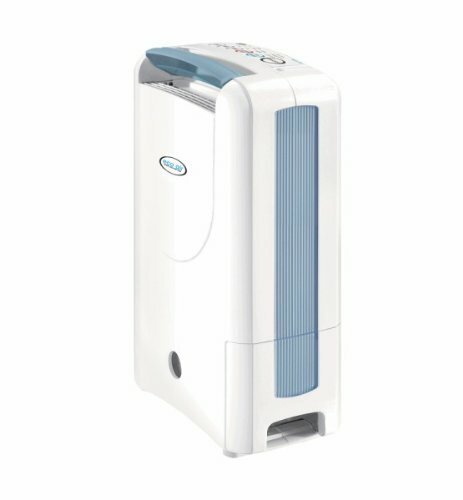 If you need a quiet RV dehumidifier, this will do just fine. 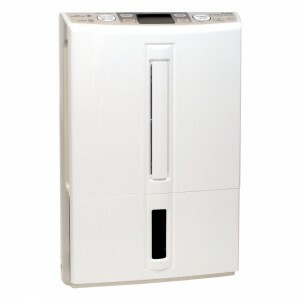 This is a quiet, low capacity unit that is suitable for bedrooms, and other smaller areas of your home. 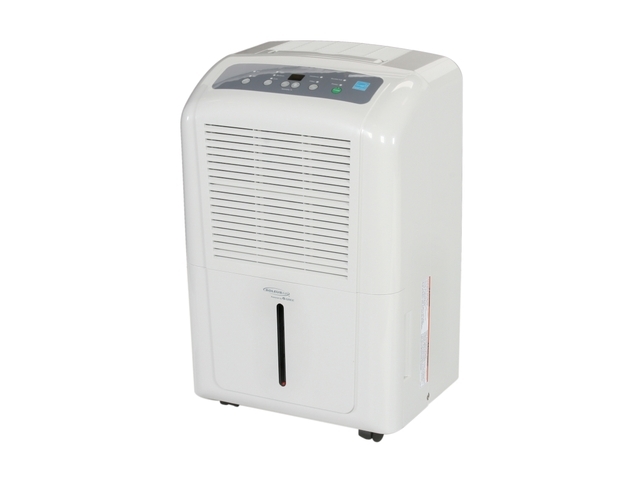 It is powerful enough to work as an RV dehumidifier . It has all the features of the 65-pint model. 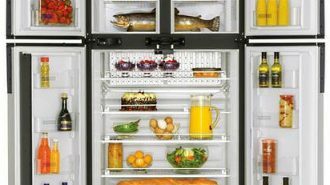 Danby is a solid all-round brand that performs well, across the board. 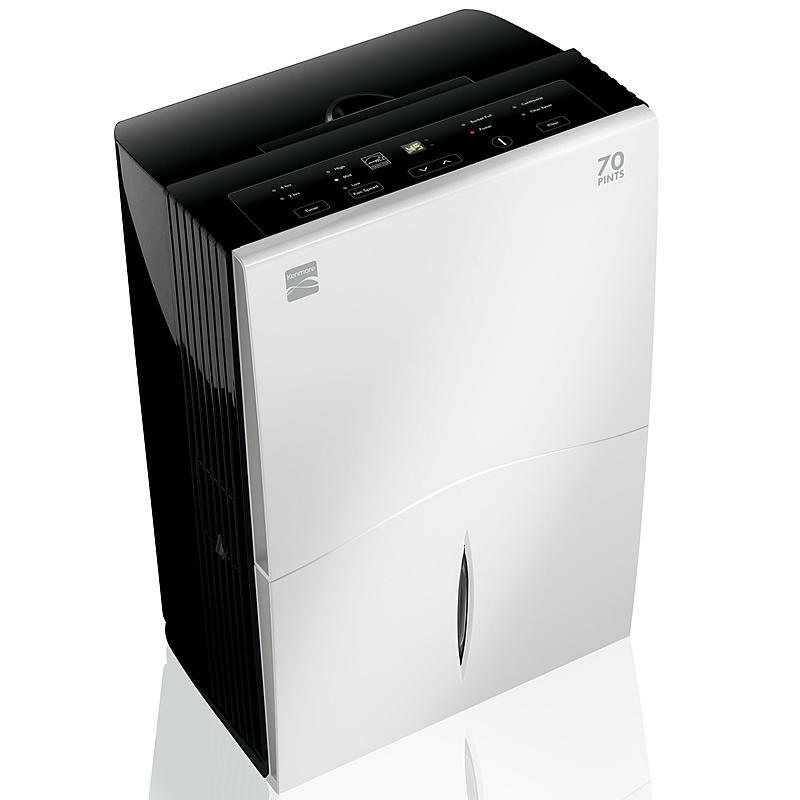 Its range is varied, allowing customers to choose a dehumidifier that is exactly right for them. The prices also vary significantly so look around for a deal. Reviews are consistently favorable, so you cannot go wrong with a Danby. 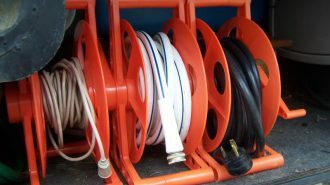 This high-capacity portable unit is mostly used in wet basements. 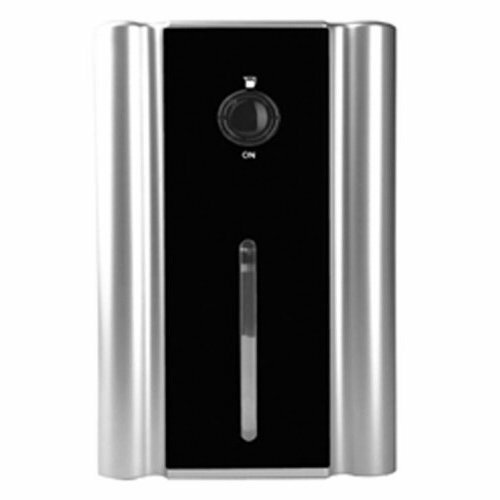 It is especially great for inaccessible areas, and it has a continuous drainage feature and remote control. Other than the fact that it uses a little less power and has a lower capacity, the 60-pint is no different from the 70-pint. It is energy-efficient, and has an auto-restart that kicks in, in the event of a power failure. The 50-pint is identical to its bigger brothers, but requires that you place the unit a foot or two above the drainage for effectiveness. 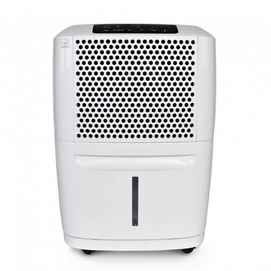 Delonghi dehumidifiers are well made by current standards, and manufactured in Italy, but have short working lives. The standards and ratings system in Europe differs from that in the States, so whatever pints per day rating they have, should be halved. For example, a Delonghi 50-pint is a Danby 25-pint, if you want to make a comparison. Delonghi are more expensive than other brands, simply because it is manufactured in Italy, as opposed to China, where most other brands are made. 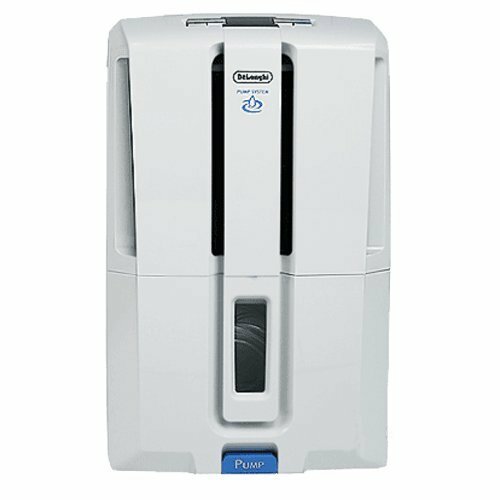 If you are looking for an RV dehumidifier that is light weight, small, and quiet, Delonghi will probably have the perfect one for you. Delonghi are made for the European climate. 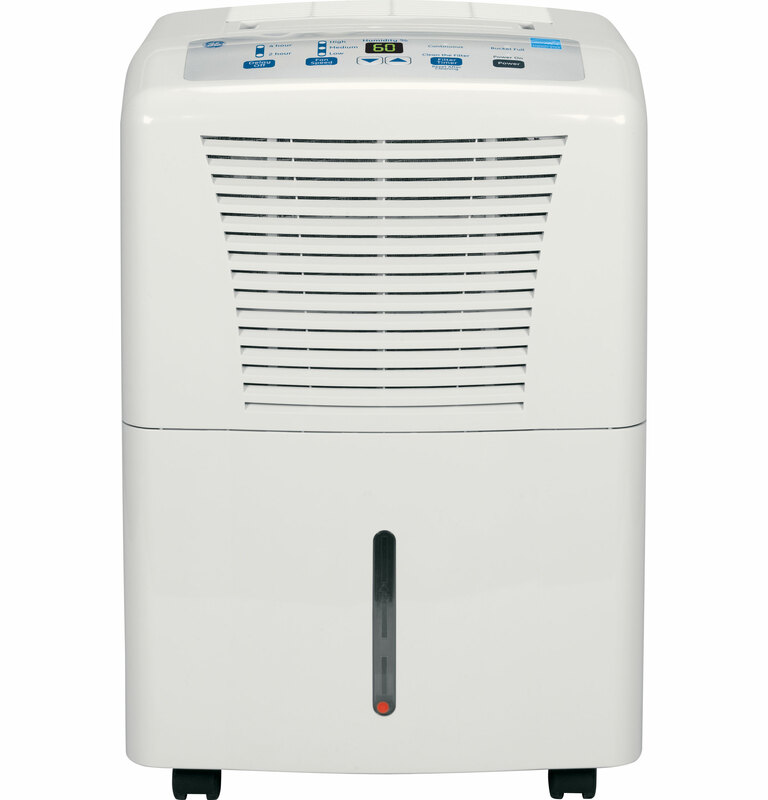 This is a desiccant dehumidifier, which means it will still keep working at very low temperatures. They do not fail where refrigerant units do. They are also much quieter than the refrigerant dehumidifiers. They cost more to run, and pull less water from the air than the refrigerant dehumidifiers though. The P at the end of this model’s name means that it has an internal pump. This model is great for areas not exceeding 400sq. feet. 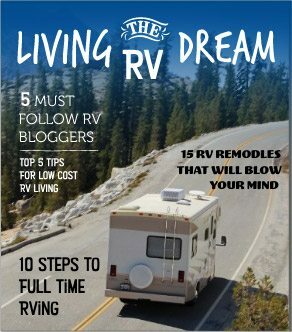 It works great in even the largest of RVs. Everything you read above applies here, the main difference being the slightly lower price of the DD45P. 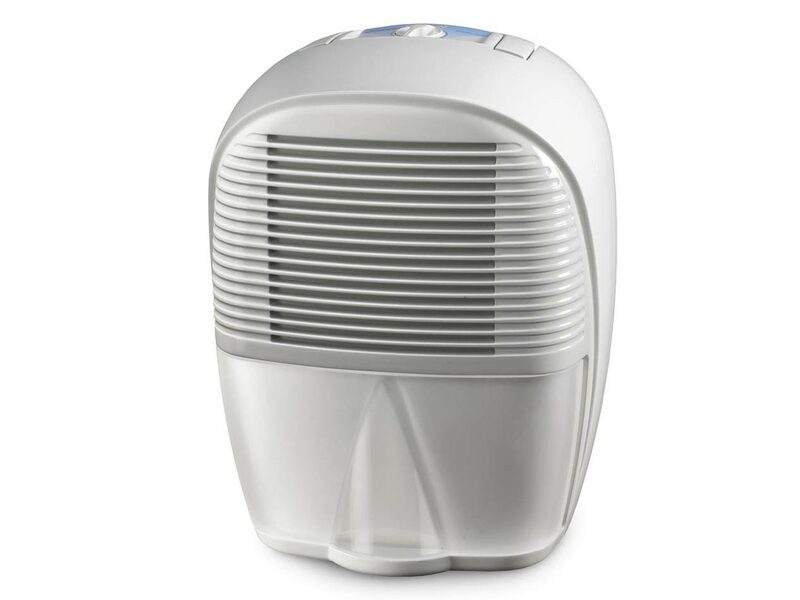 This model is not very silent, but then again, it’s quieter than some, which is why it is the preferred dehumidifier model. This is the DD45P minus the pump. This model has an auto-restart function, and all the advantages of the two models above. It is cheaper than them both, and is probably the best buy of the range. 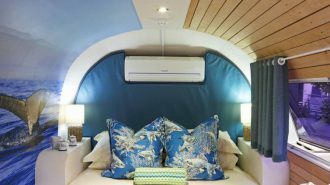 This model is small, lightweight and has everything you need to control humidity in an RV, a room, or even a small apartment. It has continuous drainage, and an adjustable humidistat, as well as auto-defrost. This 12-liter-a-day model is great for small areas. 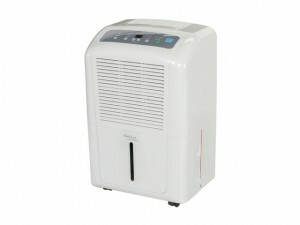 It weighs 20 lbs., but has more than enough power to dehumidify your RV, room or even small home. It has a humidistat and continuous drainage, as well as auto defrost. This dehumidifier is compact and easy to move. 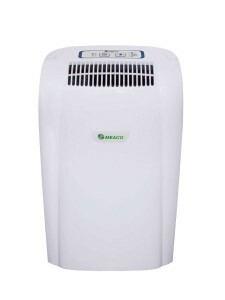 It is a medium-capacity dehumidifier that works fine in most family homes. This model could be considered a larger version of the DES12. 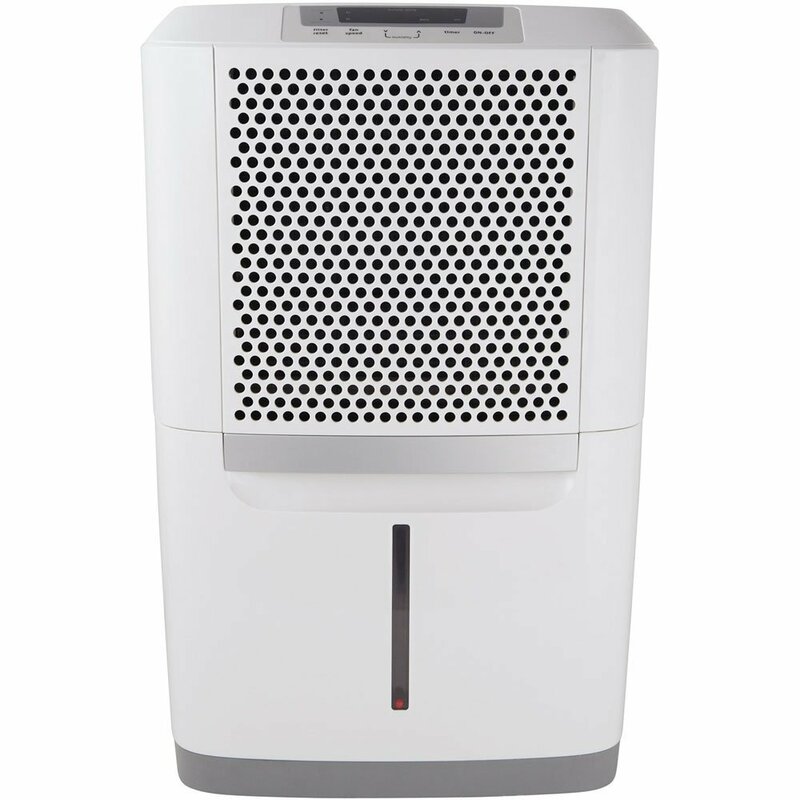 It makes some noise, but is overall a good choice as far as dehumidifiers go. The slim design of this model allows you to place it flush against a wall, helping you to save space. It has all the advantages of the DES 14, but with more power, and a noise decibel level of 42dB. It is quieter than its competitors. This portable unit keeps the whole house free from humidity. It is great for drying laundry, and can be used in three modes: heater, dehumidifier, or heater and dehumidifier, which is combo mode. The energy consumption, due to the combo, was probably not factored in to the design, but a novel idea all the same. 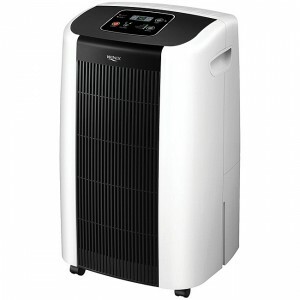 Eco Air Brand carries a range of products including air purifiers, heat pumps, and air conditioners. This dehumidifier is suitable for small spaces or homes. It is quiet, only 43dB, and economical to run, consuming as much power as three 60-watt bulbs, or 230 watts per hour. 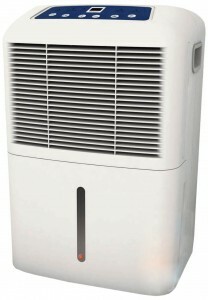 With auto-restart and continuous drainage, this dehumidifier works well as an RV dehumidifier. It can control the humidity in a single large room. It is simple to use and can extract up to 12-liters per day. This high-capacity unit can extract up to 20-liters per day, or a room as large as 30-sq. meters. It has manual controls. This model is effective in a room no larger than 20-sq. meters. It can pull up to 14-liters of water every day, and weighs 23 lbs. It also has a carrying handle that makes it easy to move around. It has electronic controls, giving it a very modern appearance. 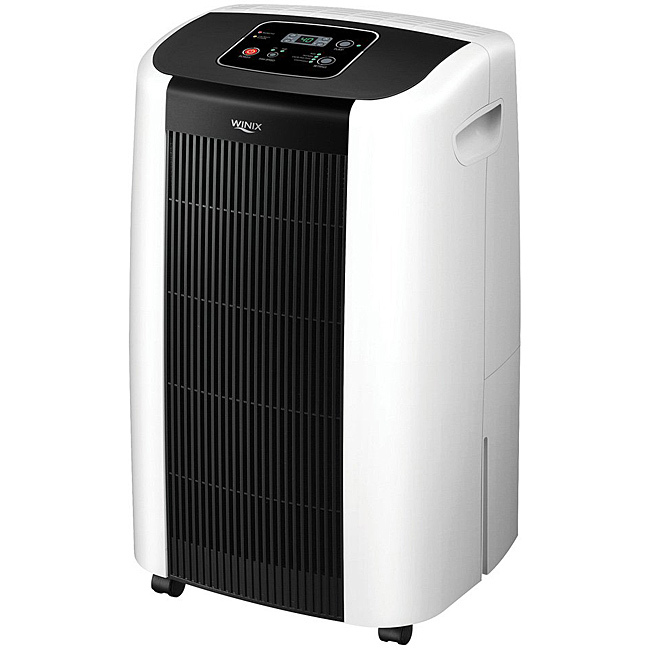 This 20-liter unit is suitable for areas up to 30-sq. meters. It is similar to the ECO14LDF, except for the larger size. The greater power also means more noise production: 50dB, as compared to 45dB for the ECO14LDF. This unit is priced slightly higher than the ECO14LDF, due to some improvements. This dehumidifier works well in an RV, or any space not lager than 20-sq. meters. It is compact and portable with a carrying handle and castors. The improvement is on the noise level, which has been reduced by 2dB, which is almost negligible for most ears. 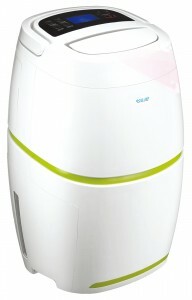 This is yet another 20-liter model that is similar to the ECOAIR20LDF, but with some improvements. For starters, it is much larger, so as to accommodate the 4.5-liter bucket for water collection. This makes it ideal for those who cannot use the continuous drainage. 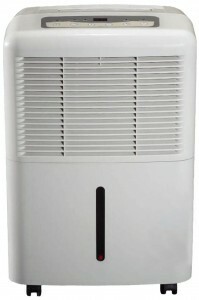 The second improvement in this model is the noticeably quieter noise levels, ranging from 36 to 42dB. For such a powerful unit, this is significantly quiet. This desiccant unit is very different from all others in this range. It is much quieter and lighter than the refrigerant units. 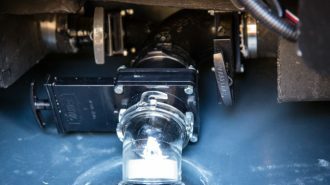 Desiccant units work fine in very low temperatures, one or two degrees above freezing, though they extract less water than the refrigerant variety. Odors are also captured in the desiccant, which is a disadvantage. 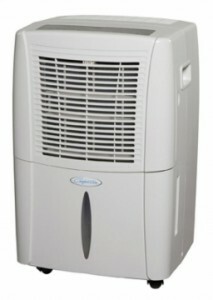 This dehumidifier is best used in your garage, or on your RV while in storage. Frigidaire is a very popular model in the US market. It is not particularly outstanding, but rather a good performer, and works great to eliminate musty smells caused by dampness. All models are Energy Star® qualified. Frigidaire was founded as the Guardian refrigerator company, and developed the first self-contained refrigerator. The name was adopted in 1919, after General Motors acquired the company. General Motors owned it for the next 60 years, after which it was bought by Electrolux, its current owner. 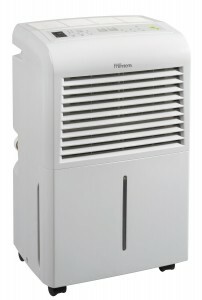 Among its other achievements, the company introduced the 1st room air conditioner. Frigidaire has a 70-pint, 50-pint and 30-pint models. This is a great model for wet basements with a 70-pint capacity. This model replaces the 50-pint FAD504TDD, which was well liked. It has got enthusiastic reviews so far. This is the replacement for the FAD251NTD 25-pint model. 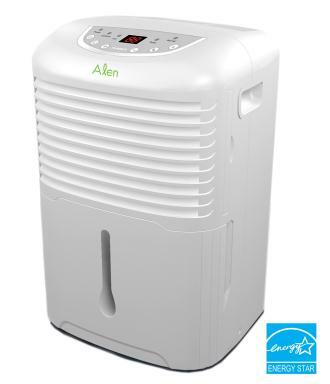 It is more energy efficient than its predecessor, and has all the essential features you expect in a dehumidifier. 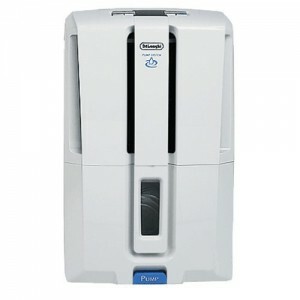 If you are looking for a portable dehumidifier, GE is the brand for you. All units are reliable and effective. They are also very attractive, and priced competitively, and are great for all areas including bathrooms, RVs, laundry areas, and basements. GE, or The General Electric Company, was rated the world’s second largest company in 2010 by Forbes. It was formed in 1892 with Thomas Edison as one of the partners. Since then GE has grown to become a world leader in the field of electric brands. GE Appliances, a subsidiary of GE, is the leading supplier of refrigerators, washers, air conditioners and dehumidifiers. This is the most powerful in this range, and the heaviest. It also uses the most energy, but is a beast when it comes to water collection. It is suitable for large to medium basements, and can collect up to 65-pints a day. This model is slowly being replaced by the 65-Pint GE ADER65LP. This is the successor of the above model. The two are virtually identical. This is a smaller, lighter version of the above model. It is 7 lbs lighter than the 50-pint. 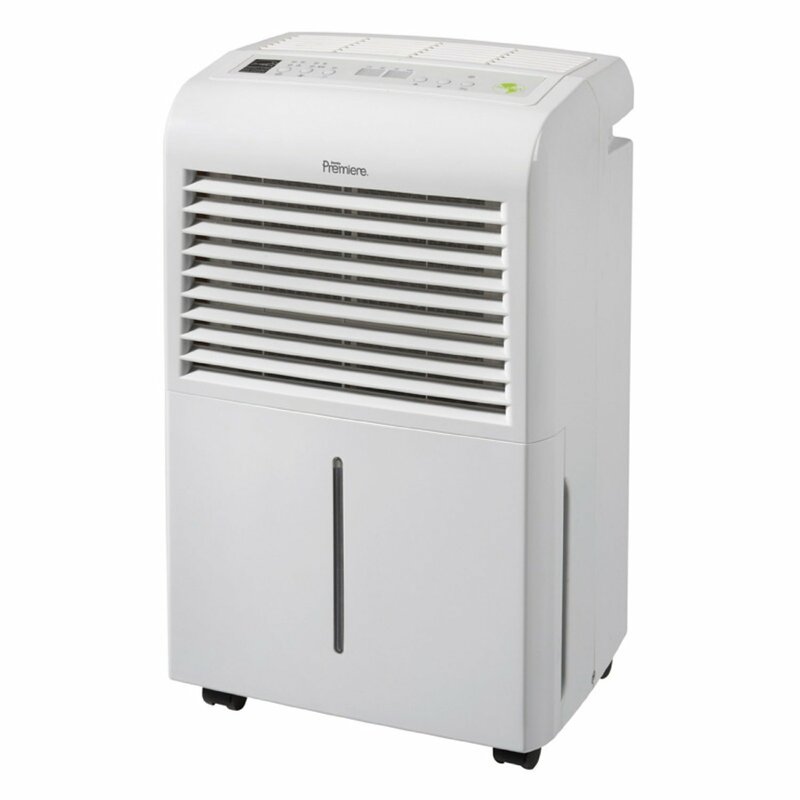 This unit is best used in small areas, such as a small room or an RV, as it not energy-efficient. This model is being replaced by the ADER40LP. This is the baby of the family and works great in small areas. It is the same size as the 40-pint model, but weighs 11lb less. It also consumes the least amount of energy. This model is being replaced by the ADER30LP. 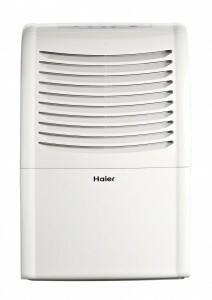 Haier group began in China in the 1920’s, and was founded as a refrigerator manufacturer. It is the fourth-largest manufacturer of goods in the world, thanks to a partnership with the German Liebherr Group. This is a portable model that can extract up to 45-pints of water a day. It works fine in an area no larger than 700-sq. feet and has a 25-pint bucket. Consumer reviews for the model are mixed, though most are centered on its short life span. This unit can pull 65-pints of water from the air daily. It is lighter than most of its counterparts, but also has a tendency to break down quickly. 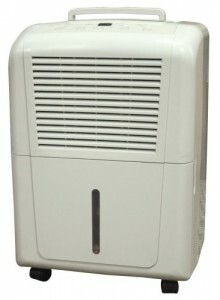 Large numbers of LG dehumidifiers are sold yearly. The brand is well known the world over, and the products are pleasing to the eye. Most customers express satisfaction with the brand that also manufactures cell phones, refrigerators, air conditioners and a host of other household appliances. The bad reviews are mostly centered on the life span of the units, as well as a high proportion of comments that relate to the humidistat and heating effect, on the air that has run through the unit. LG was established in The Republic of Korea, and was formed in 1947. 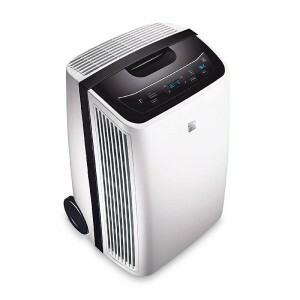 LG Electronics, the company subsidiary, manufacturers the LG Dehumidifier and other electronic goods. This is a high-capacity portable model that is designed for use in temperatures 65 degrees F and above. 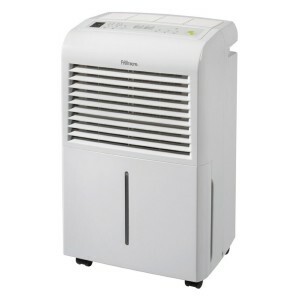 It does not work well in lower temperatures, but is similar to other high-capacity models with the usual features. 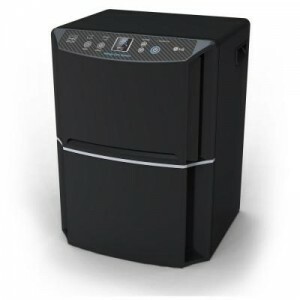 This dehumidifier’s black casing make it stand out, and may be ideal for those looking for something other than the usual white of other brands. Reviews of this model center on the difficulty of removing the water bucket, as well as the noise produced. This unit can remove 45-pints, and costs less to run than the LD650EAL. It works well in a space no larger than 700-sq. feet. It operates more economically in a space smaller than that though. 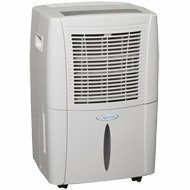 It is similar in weight, size, and noise-produced to the 65-pint model, but has the familiar white finish of traditional dehumidifiers. Reviews of this model are more critical than that of the 65-pint and center on the same issues. This unit does not condense water, but instead absorbs it from the air using a desiccant material. The unit is very effective in temperatures as low as one or two degrees above freezing, as it does not have a refrigerant unit. An overstated point with regards to the desiccant models is that they are quieter and lighter than their refrigerant counterparts. 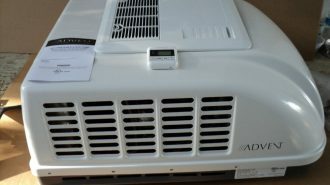 Dessicant units, however, are more expensive that those units that use refrigerant. They also absorb the odor present from pollution or even tobacco smoke, that is in the air. They also heat the air more than refrigerant units do. 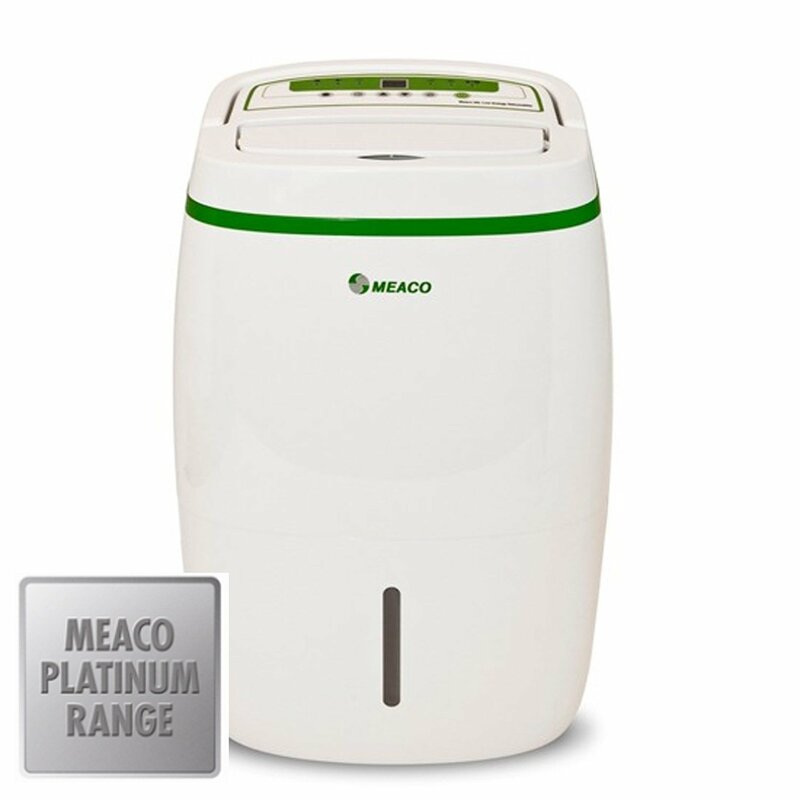 This is another desiccant unit provided by Meaco. 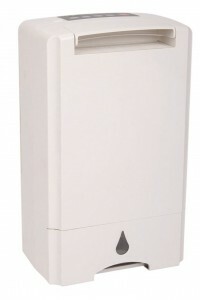 Desiccant units as stated above are sold as “whisper quiet,” but this is not necessarily true. The desiccant unit has two fans, one for drawing air in, the other for pushing it into the desiccant material to be dried. These fans will produce some noise while in operation. Desiccant units are very advantageous in low temperature conditions though. 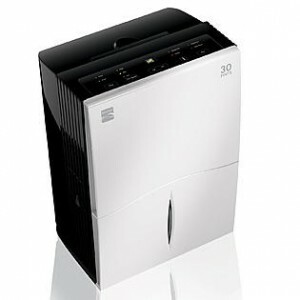 This low-powered unit is not exceptional in any way, but is competitively priced. It is a handy unit with electronic controls, and can extract up to 10-liters a day. It is also fairly quiet and economical to run. This unit has twice the capacity of the above, but is quiet and light. The visual appearance is quite pleasing, and the castor wheels provide an easy way to move it from room to room, as required. If you can find it an attractive price, this is a must-buy. 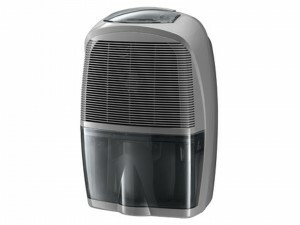 This light-weight dehumidifier can extract 16-liters of water from the air per day. 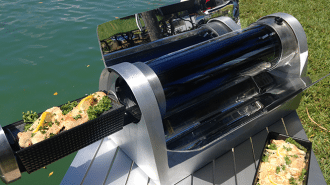 It has several useful features, such as an electronic humidistat, and continuous drainage, as well as auto-restart and a large 4-liter water collection container. 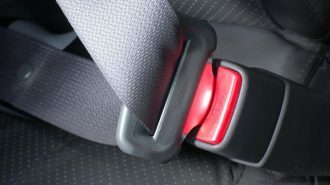 It is a quiet performer and is effective in low temperatures. 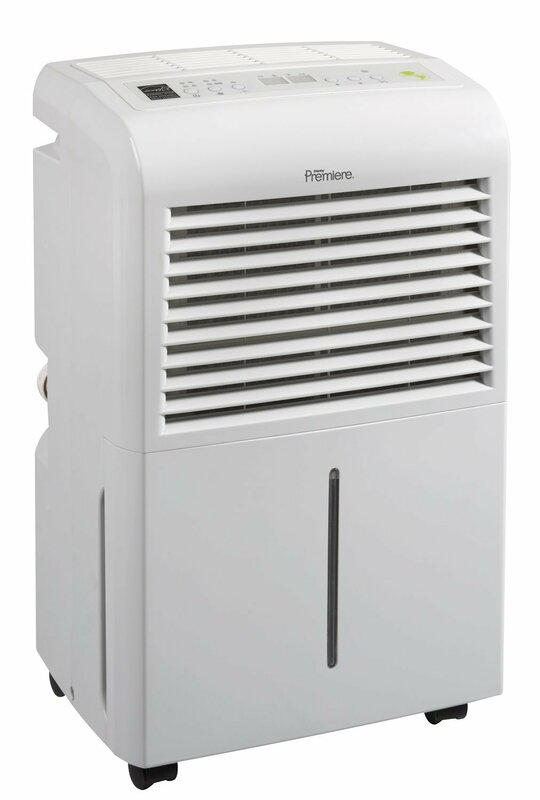 Premiair is a well-regarded brand, with a range of products for heating, cooling and improving air quality. This medium-capacity portable uses 320-watts per hour. It has a 12-liter capacity. The selling point for this unit, however is its relatively low noise levels, coming in at 41dB, making it one of the quietest models available. The extra power in this unit comes with a range of additional features, including castors for easier movement, and an ionizer. It consumes 420-watts per hour, which is reasonable compared to the unit above, but produces a deafening 50dB of noise, which is disappointing. 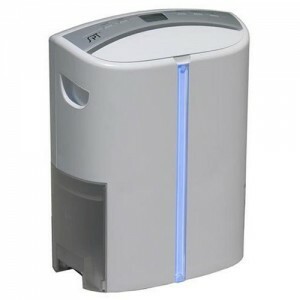 This is a desiccant dehumidifier. 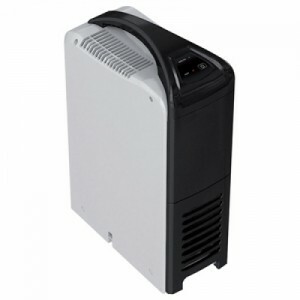 It is smaller and lighter than a refrigerant dehumidifier with the same capacity, as it does not use a compressor. It is ideal for places that experience very low temperatures. 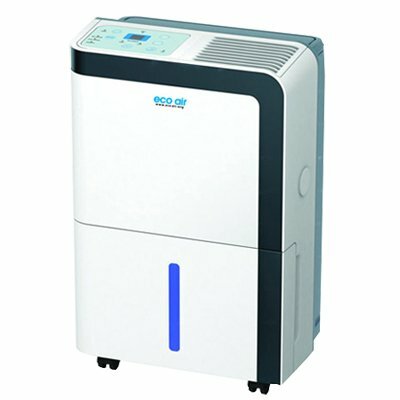 This is another desiccant dehumidifier. It has a higher removal capacity than the PDS10, but can get very loud when set on high. Its noise output is 47.9dB. It also comes with higher energy costs, but works great in areas with very low temperatures. 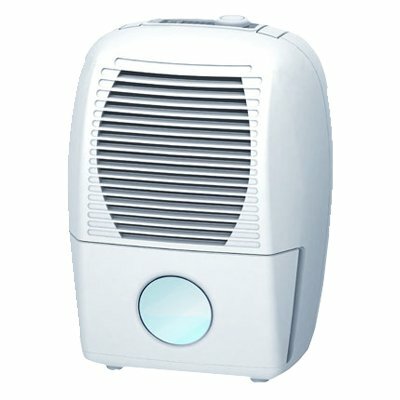 This dehumidifier is for tiny spaces. It removes a third of a liter of water per day, at best, and is very quiet. This small dehumidifier is great for wardrobes and cupboards. 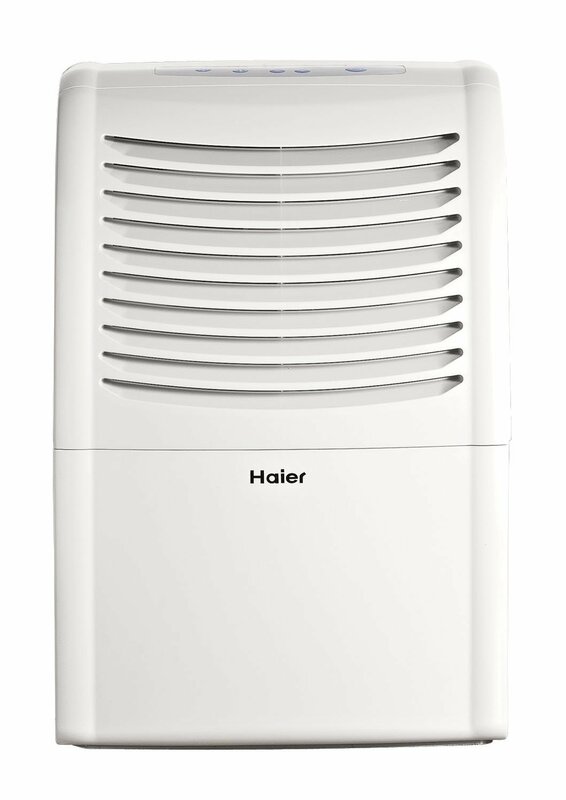 This dehumidifier has a capacity of 0.65-liters per day, and just as the above, is suitable for enclosed spaces such as wardrobes. This dehumidifier has no moving parts, and therefore a very long working life. 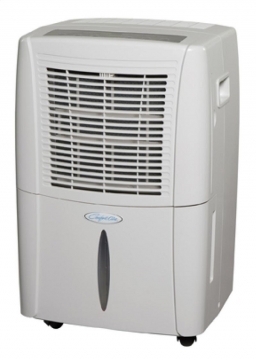 It is the best choice if you need a dehumidifier for a specific space, such as your wardrobe. You simply place the dehumidifier in the enclosed space, where it will collect water until the indicator changes color. When this happens, plug your dehumidifier into a power socket for a while until the indicator changes back, then you are ready to use it again. It is silent, clean, and easy to use and works great. Distributed by Sears Holding Company, The Kenmore brand requires no introduction. Sears Holdings was created as a merger between Kmart and Sears, Roebuck and Co. It is a leading seller of home appliances, though you can also purchase other brands in any of its 4,500 retail stores, as well as online. Their dehumidifiers are not manufactured by them, but they contract the work out to manufacturers, such as LG, Winix and Frigidaire. This is the largest model in the Kenmore range, and works well in basements or water damage restoration projects. The appearance, according to customers is also very pleasing and it is generally easy to use. Common complaints include: noise and faulty units within the first year. This 50-pint model is similar to the 70-pint in all aspects, complaints included. There are equally effective units for the same price. This dehumidifier would be more effective in a room, or even an RV, than it is in a basement. It is smaller in size than the above models, and quieter, as well as easier to fit in a space that is limited. The Kenmore Elite is a top-seller in the Kenmore brand. It is similar to the 70-pint model with one addition, an internal pump. This makes it easier for individuals without an easily accessible floor drain to use the continuous drainage option. The reviews for this model are also similar to those of the 70-pint, with one addition, complaints of the failure of the pump. 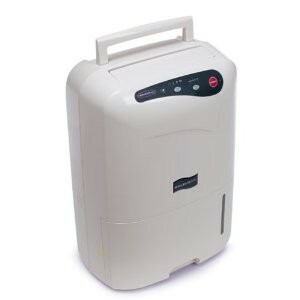 A portable dehumidifier with an internal pump is not a bright idea generally, as repairs cost more than a new unit. Soleus was founded in 1998, and trades under the name of Soleus Air. It has been spectacularly successful, and has been named among the 500-fastest growing companies in America. This is a 70-pint capacity unit that is typically bought for use in basements. It generally has positive reviews and all the usual features. 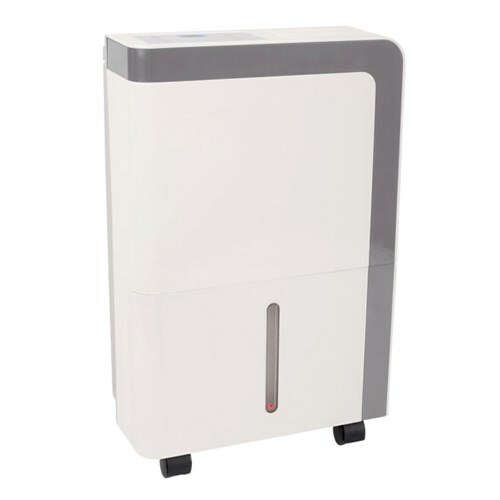 This dehumidifier will keep humidity under control in a 600-sq. foot room. 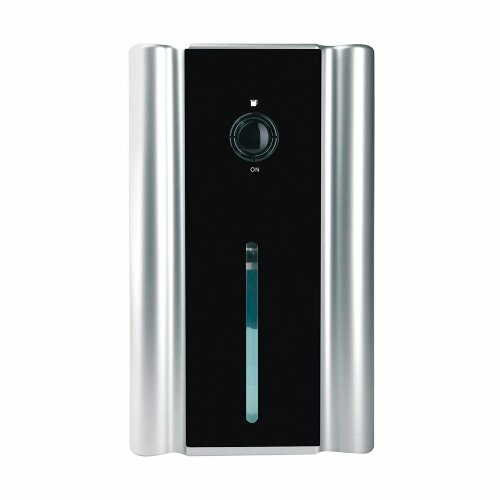 It is stylish in appearance, and produces noise levels of 41dB. Like all Soleus products, the unit has good reviews all round. This unit can extract 30-pints of water daily, but is not quiet by any standards. It produces 59dB of noise at its highest setting, and is therefore not suitable for bedrooms. The overall good quality makes up for the noise though. This is a more economical version of the DP1. 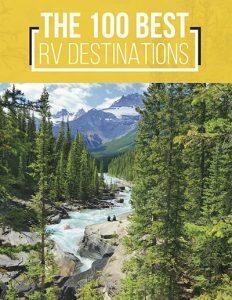 It has a 25-pint capacity, and is a great choice for recreational vehicles or small homes. 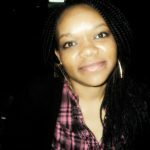 Better known as SPT, this is a small company that manufactures and distributes several home appliances. 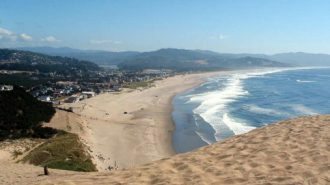 It was founded in California in 1993. 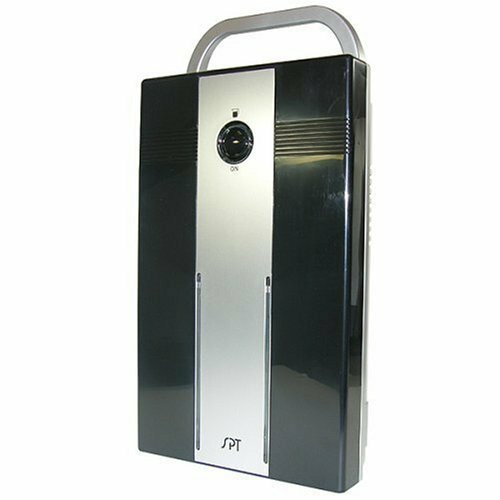 At 65-pints per day, this unit is suitable in large areas such as basements. The brand is less known than Frigidaire, but most reviews are centered on positivity and effectiveness. The biggest complaint regards its noise, especially when set on high. The decision to buy centers around a users preference, a quiet unit that needs to run for hours, or a noisy unit that gets the job done quick. Your choice. 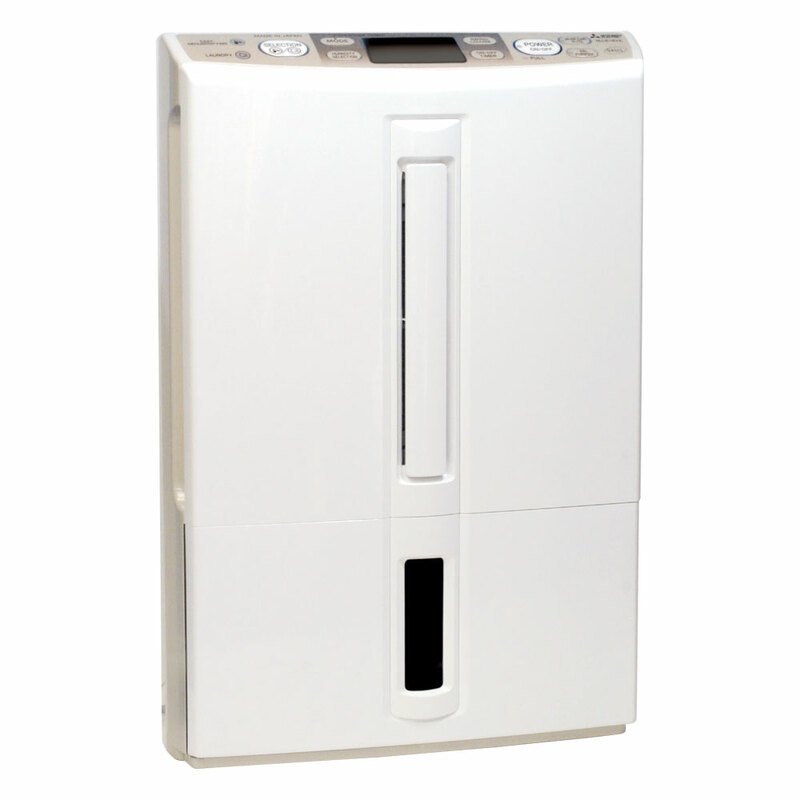 This is a compact unit that is great as an RV dehumidifier, and has an effective air filtration system. The electronic controls make it easy to operate. This unit is effective, but noisy just like the 65-pint SD-65E. It works very effectively, and is a great choice for use in the home or in an RV, if noise is not a big issue for you. This is too small to use in a basement, but would be fine for a small house or apartment. The noise level, compared to the capacity is too high, so do not place it in your bedroom. If you don’t mind the noise, this is a great choice that will serve you well for several years. 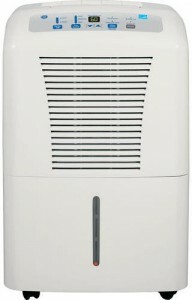 This is a great dehumidifier for closets and wardrobes. It is not powerful enough for even a small bedroom, and is a desiccant unit which though quiet, is not silent. 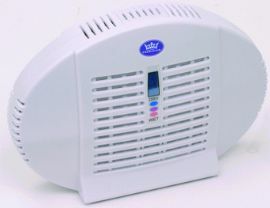 Unless you have damp problems in your cupboard, this dehumidifier would not be of much use to you. 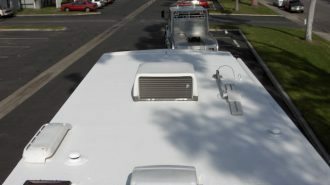 This is similar to the 350, but has a slightly higher water-extraction capacity. Winix are much less known than other non-US-based brands. They are priced slightly higher than others, such as Haier and LG, for example, but the reviews from consumers are much better than the lower-priced competitors. Winix has an overall better build-quality, and longer life span, as well as features that are not typical in most brands. 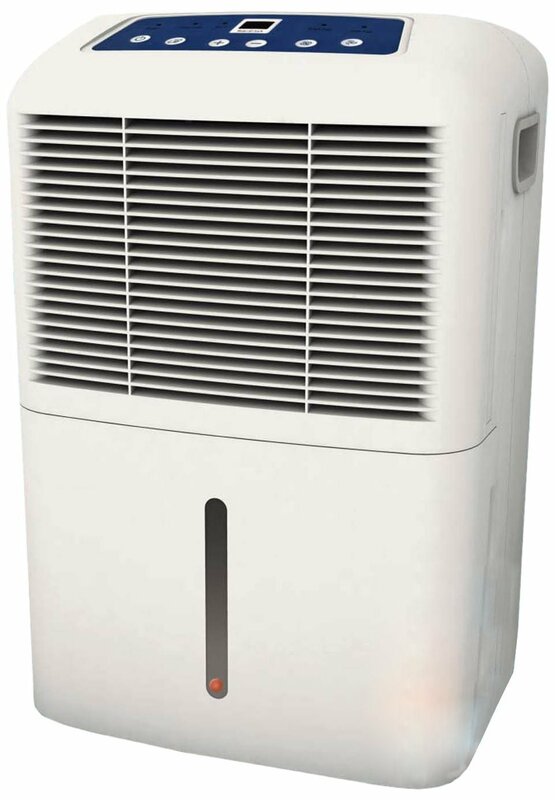 For example, the auto-restart function, while not rare, is not universal in all dehumidifiers, and neither is a condensate pump, as most models rely on gravity for drainage. 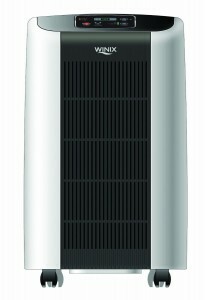 Winix dehumidifiers are manufactured by Winix Inc. in the Republic of Korea. They also manufacture products for the Kenmore brand (Sears), among others. This stylish unit is effective and quiet and the fan does not run continuously. It is an all-round great performer. 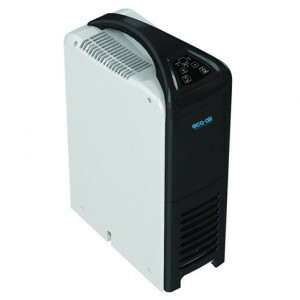 This is a larger, more powerful version of the above unit, and comes with an internal pump which is not found in other models. 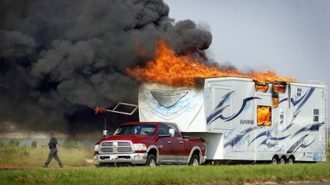 A dehumidifier in your RV can save you thousands of dollars in damage, from mold and excess moisture. 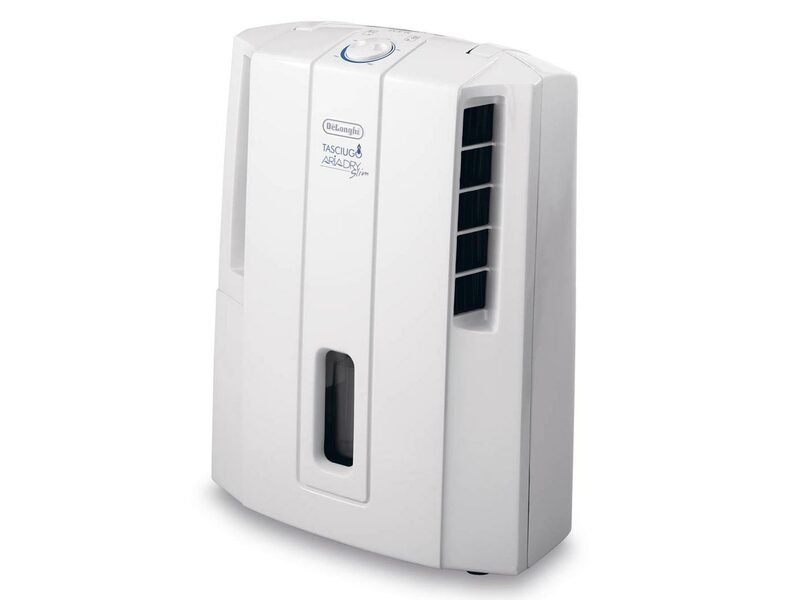 If you live in an area with high humidity levels, it would be a very smart choice to get yourself a dehumidifier.